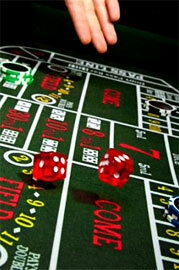 Every roulette gambler wants to know what roulette betting system is the best and can provide the highest benefits. There were attempts to make evaluation of betting systems but there are still people who do not believe in the efficiency of such systems. That's why some experiments related to the systems efficiency were carried out. If you want to check how do these systems work for you, there' no better place to do it than online casino. The correlation between the total amount of loss and win was 7 to 495. This corresponds to the house edge in craps (the pass line). The correlation will always be next to the house edge and no matter which system the players use in the long run. Labouchere system is based on the conception that during some period of time 2 events of about the same probability will happen approximately the equal numbers of times. The Labouchere system was tested with the help of special computer program which imitated 10 million spins. The system was applied on craps and roulette. Scraps - the winning probability is 49.29%. Roulette - the winning probability is 47.37%. So, the better variant to apply the Labouchere system is while playing craps. The correlation between the total amount of loss and total amount of the bet was always close to 1.41% (craps) and 5.26% (roulette). Such result was shown after 10 million spins. Above there are some carried out experiments and if the gamblers want to make more tests of betting systems they are welcome.